Former Manchester United goalkeeper Peter Schmeichel has backed his former club to secure a top four finish this season, which he believes will result in Old Trafford boss Louis van Gaal spending big in the summer transfer window. United aren’t involved in any European competition this term, having finished seventh under David Moyes during their previous campaign. Nevertheless, the Dane is confident that the Red Devils will hold off the likes of Liverpool and Tottenham Hotspur and finish fourth this time around. Van Gaal’s side were beaten 2-1 by Swansea City last weekend, a result which saw them drop below Arsenal – who beat Crystal Palace by the same scoreline – in the table. Only a point now separates them from fifth placed Southampton in a congested top half. 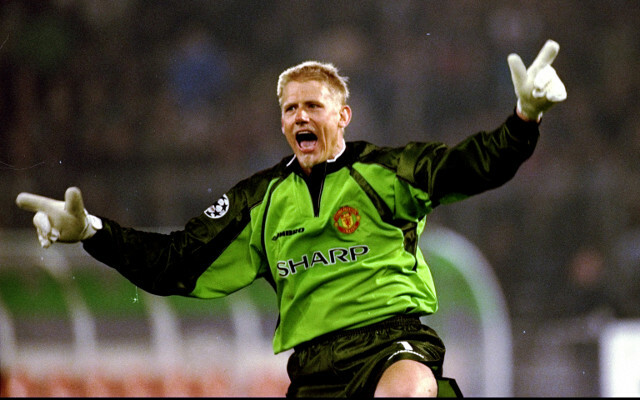 Despite the club’s troubles, Schmeichel, who was part of the United team that won the treble in 1999, was today quoted by the Daily Star backing the Dutchman to help them return to their former glories. He said: “In terms of getting results and points on the board, I think we’re much better than what we were last season. I honestly can’t remember how many points we had at this point last season but I assume we have at least 10 more points this season. “We’re only seven points behind Manchester City. It’s not like last season when we were completely off the pace with no chance of anything at this point. “The really positive thing for me is we’re picking up points. We’re getting three points very often. Obviously the defeat against Swansea was disappointing but we’re doing well and we’re getting points and that’s the most important thing at this moment in time. “Let’s get back into the top four, be a Champions League club again, sign players we want to sign who want to play in the Champions League and then we can start looking at things from an entertainment value.